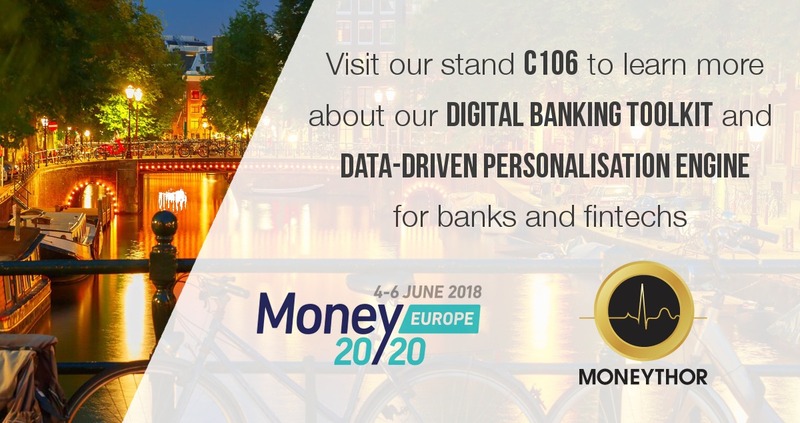 The Moneythor team will be at Money20/20 on June 6-8 in Amsterdam for Europe’s largest FinTech event of 2018. In just a few years, Money20/20 has become a prime three-day venue for discussions and collaborations across the entire payments, FinTech and financial services industry building the future of money. With digital transformation at the forefront of the Banking agenda, Moneythor will showcase its digital banking toolkit and data-driven recommendation engine designed to help incumbents and challengers alike meet the increasing demand for personalised digital services. For more information about our participation to the event or to arrange meeting at our stand C106, please contact our team.